Tarzan is a 1999 American animated comedy-drama adventure film produced by Walt Disney Feature Animation for Walt Disney Pictures. The 37th Disney animated feature film and the last film produced during the Disney Renaissance era, it is based on the story Tarzan of the Apes by Edgar Rice Burroughs, and is the first animated major motion picture version of the Tarzan story. Directed by Chris Buck and Kevin Lima with a screenplay by Tab Murphy, Bob Tzudiker, and Noni White, Tarzan features the voices of Tony Goldwyn, Minnie Driver, Glenn Close, and Rosie O’Donnell with Brian Blessed, Lance Henriksen, Wayne Knight, and Nigel Hawthorne. Tarzan was released to a positive reaction from critics, who praised the film’s animation and music. Against a production budget of $130 million (then the most expensive animated film ever made until Disney’s Treasure Planet in 2002, which cost $140 million), the film grossed $448.2 million worldwide, becoming the fifth-highest film release in 1999, the second-highest animation release of 1999 behind Toy Story 2 (1999), and the first Disney animated feature to open at first place at the North American box office since Pocahontas (1995). 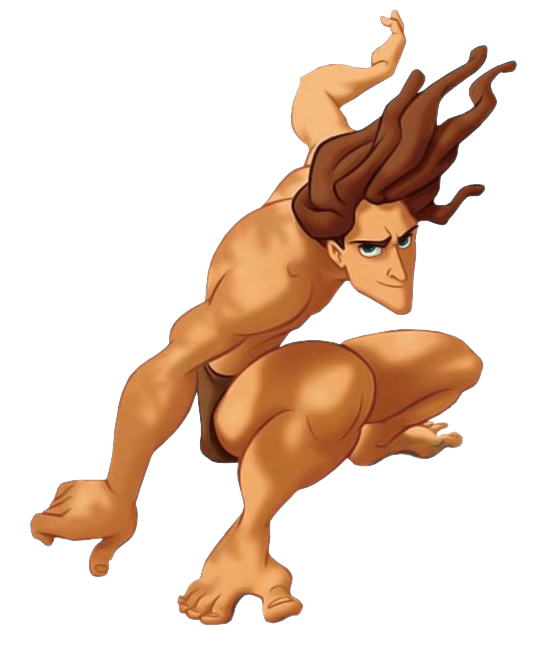 The film has led to many derived works, such as a Broadway adaptation, a television series, and two direct-to-video films: Tarzan & Jane (2002) and Tarzan II (2005).